Seeking Indigo is honored to welcome Mark Knowles to our family! Mark is a seasoned 800hr Certified Jivamukti Yoga Instructor and a well known and loved Charleston Yogi. As a Bahama native, his love of the water brought him to Charleston where he attended his first yoga class. Far from sleepy and flowery he found a great practicality in the practice that demanded use in everyday life, finding challenge not only in the postures, but also in the spiritual activation and social awareness that Jivamukti embodies. When you attend Mark's class, you can expect yoga as a practical method, a challenging practice and supreme devotional gratitude. Mark's hands on approach allows you to move deeper into poses and achieve inversions you may have doubted in the past. The influence of his studies in Zen Buddhism and Aikido and his use of a Harmonium iprovide an enhanced experience by centering your mind and energy and allowing you to fall into a deep state of relaxation. Mark will teach Monday and Wednesday mornings @ 8am starting in December. Join us for a class and experience firsthand the physical and spiritual life-enhancing qualities of a yoga practice. Drop in classes are $12. Look forward to seeing you Monday or Wed morning at 8am. Give your children an opportunity to explore and enjoy yoga just for them at "I AM HAPPY HOUR" this Friday, July 22nd at 6:30 until 8pm at Seeking Indigo by Kids' Yoga Journey Live. Kids take a Laughing Dove Dive into SUMMER! Parents drop off at 6:30 and pick up HAPPY KIDS at 8:00! How do I sign up? Just call Jessica at 843.725.0217 to find out more details on how you can book a spot today! Kirtan call-and-response chanting is a participatory music experience. We bring out the drums, open our vocal chords and sing sacred chants from the Hindu, Buddhist and Sikh traditions - all of which bring our minds and bodies to a place of divine bliss. Kirtan, a Sanskrit word meaning "repeat", is call-and-response chanting performed in India's devotional traditions. Kirtan helps quiet the mind, relieve stress, clear emotional blockages and connect us with our true, sacred selves. And it's fun! If you've never been before, come. And bring a friend! We promise - you won't be disappointed. This year marks the official launch of our new Yoga Program. We are offering a traditional Hatha class infused with zen teachings every Tuesday-Saturday at 8:45 am. Practice with Lana Sizemore in Seeking Indigo's off-street Sanctuary for a true taste of zen paradise. Calm your Self and start your day with a balanced mind, body and spirit. Open to all levels, but beginners are definitely welcome! No need to bring a mat. See you there. Join Seeking Indigo's Mama TLC and Ellen Watson of Esalen Institute for a celebration of new Life and love, featuring African dance, drum circles, yoga and more. No reservation necessary! **If you purchase 3 gift certificates (totaling $150) this holiday season, we gift you a 90 min Detox to the Max Package - which includes a 30 min Migun Massage, 30 min Infrared Sauna and an Ion Cleanse Detox Footbath. Since the last thing any one needs this holiday season is more stuff, we encourage you to "GIVE WELL" - so much so that we will gift you a detox to the max. This holiday season, relax! Eat, Pray, Love & DANCE Workshop! Thanks to the Sophia Institute, and all the work they put into bringing Daphne Tse and Ellen Watson to Charleston, we get to celebrate their presence. In what will be a preview for their weekend retreat at Sophia, we offer a sneak-peak - or "Eat, Pray, Love Series" - so that you won't miss out. Join us next week for an experience that's not to be missed! We at Seeking Indigo are thrilled to introduce you to Deborah Kaufman, our ballerina-turned-yogi who will be leading your Thursday morning yoga class! As of this week, Deborah is the newest addition to our team and will be teaching a Vinyasa Flow class every Thursday morning at 8:45. This week, she will also be substitute teaching on Tuesday at 8:45am. Deborah, a long friend of ours, is all sunshine and smiles and bright light - a natural addition to our team. Deborah discovered yoga about 15 years ago during her work as a professional ballet dancer. After moving into other careers, she spent time in NYC before dancing her way down to SC to practice with you. She has since completed Holy Cow's 9 month, 200 hr Teacher Training Program and is the official yoga teacher of the Charleston Battery soccer team. In addition to Seeking Indigo, she teaches at HolyCow Yoga Center, Daniel Island Club, Isle of Palms Rec... the list keeps on going. Join us in congratulating Deborah, also, on her newfound position as the Director of Development for Charleston Ballet Theater! Deborah sees yoga as a way towards movement and balance in life - on and off the mat. She teaches in a strength/flow style with an easy-going and fun attitude. Come see for yourself Thursday mornings at 8:45 - come on time - we'll be there! Yoga class or yoga EXPERIENCE? Well over 700 hours of training in the teachings of Sri Vidya system of yoga and more then 10 years of teaching have enriched and shaped my experience beyond measure. Sharing this ancient wisdom is a passion, a duty, and an immense privilege. It's not enough to talk the talk in this day and time or any other for that matter. You must walk the walk as well. For the shift in consciousness that is needed on the planet to occur, we must consistently expose ourselves to authentic, uplifting, loving interactions with others and ourselves. We must seek opportunities to answer the question "who am I?" and tirelessly pursue wholeness. 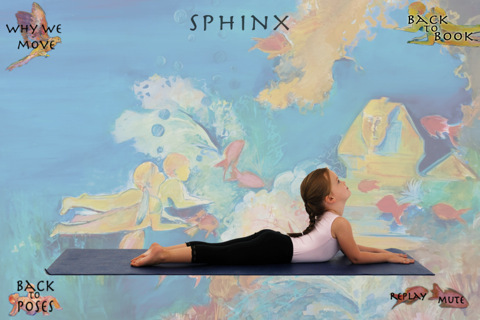 The yoga mat provides a perfect place to explore and experience all this and more. If you would like to take a journey far beyond the physical movements of the body and have a unique yoga EXPERIENCE each and every time you practice, I invite you to join me, Suzanne Goldston, ERYT, Monday, Wednesday and Friday mornings at 845am and Tuesday evenings at 6pm. I honor the divine light within you. Come join me for a yoga experience this week! start your week with a balanced mind, body and spirit. this class will lower the air element, vata, activate the fire element, pitta, and stabilize the water element, kapha. expertly sequenced to build prana and awaken consciousness, the ancient teachings and practices of yoga will be taught throughout the class culminating with a deep relaxation and guided meditation. build strength and stamina, improve balance, increase flexibility concentrate the mind with this energizing class. increasing the fire element lowers the air and water elements. where there is fire there is heat so be prepared to heat the body up using movement, breath and bandhas rather then external heat sources which often deplete the body. yoga experience is recommended. traditional sequencing creates a synergistic blend of movement and holding with constant attention on weaving the mind, body, spirit and breath into one harmonious whole. energizing and balancing to all metabolic types. includes deep relaxation, pranayama or breathing practices and guided meditation. honoring spirit using the beauty of mother nature, mother bhumi, to remember our true nature of peace, love and joy and replenish the spirit while honoring the body with purposeful movement and breath. Chanting, guided meditation and prasad offered during the class. Join us this Friday at 8:45 am in our beautiful wellness center at 445 King Street. We will keep you posted of other locations where classes will be held at sunrise or sunset later this month including: Our secret beach and the yoga docks at waterfront park. All downtown. Come join in the fun. Destination Yoga Scheduled for the Cistern Moved to a Secret Garden Downtown! Seeking Indigo Destination Yoga scheduled this Friday 9 - 10 am at the College of Charleston Cistern has changed location - watch our blog for further details, or sign up for our newsletter in the upper right column and get an email every time there's news. Hope to see you there. Meet us on the new dock at Waterfront Park for this week's Destination Yoga. This will be the third in a six week series. Thus far we've enjoyed the sounds of the crystal singing bowls and experienced the gifts of angel aromatherapy, sharing of sacred healing powders and prasad as part of our weekly sessions. On Friday May 21 from 9 - 10 am, Suzanne Goldston will lead us in Hatha Yoga with a guided meditation at the end. Classes are $20 / $120 for the series. Bring your yoga mat, sunglasses and sunscreen. Call 843-725-0217 to reserve your spot today! Join us Friday June 4 as we kick off our new Destination Yoga series. Classes will be held every Friday from 9-10am! Each week our series will be hosted at a new and and relaxing location integrating the natural beauty and breathtaking views of Charleston's own backyard. When you sign up for the June Destination Yoga series , you will be gifted a very special set of Mala Prayer Beads brought back from our travels to India. Traditionally used as an aid for meditation, Mala are strung with 108 Rudraksha beads which are said to affect all major chakra points. Rudraksha seeds have been worn by the Yogis of India and the Himalayas for thousands of years to maintain health and to gain self empowerment on their path to enlightenment and liberation. Call 843-725-0217 to reserve your space today. May's practice fee for each individual class is $20 Make your reservations today!